Looking for a way to help your teen give back to their community? The Vancouver VolunTEEN program has a long list of volunteer opportunities happening throughout the 2016-2017 school year for Clark County teens ages 14-19. The program’s next event will be held from 3:30 to 5:30 p.m., Thu., Oct. 13, at the Water Resources Education Center, 4600 SE Columbia Way, Vancouver. After that, the program hosts volunteer opportunities around the Vancouver metro area most Thursdays, from 3:30 to 5:30 p.m. In October, the volunteer opportunities include a trip to the Salmon Creek Greenway Trail on Oct. 20 and a just-in-time-for-Halloween event at the Old City Cemetery off East Mill Plain and Grand Boulevard in Vancouver on Oct. 27. 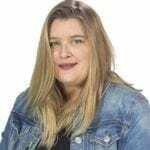 Hailey Heath, the city of Vancouver’s volunteer coordinator, says the VolunTEEN program is a great way for area teens to earn community service credit for school, meet other area teens, help their community and add valuable volunteer experience to their resumes. Now in its second full year, the VolunTEEN program travels to various parks, community centers and education centers in the Vancouver metro area. Teen volunteers do everything from litter removal and beach cleanups to window washing and cutting out pictures of insects and birds to help a community program prep for its summertime children’s activities. 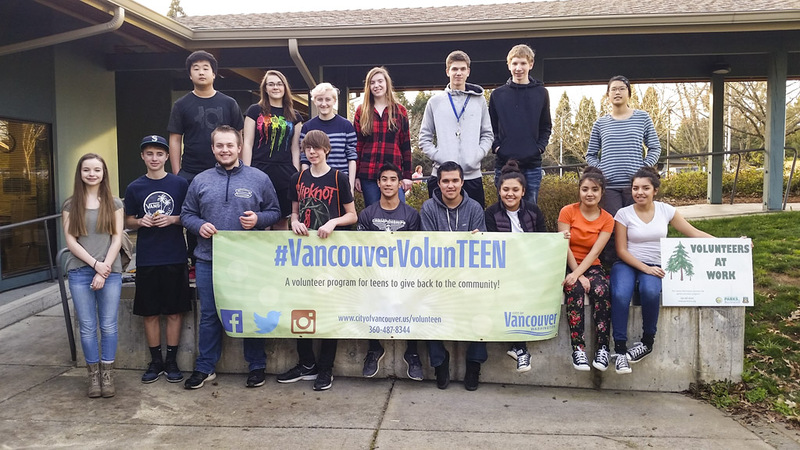 A joint venture hosted by the city of Vancouver, Clark County Parks and the Water Resources Education Center, the VolunTEEN program started in April of 2014 as a response to various requests from area teens and their families, who were seeking local volunteer opportunities. “There was a need for a dependable, safe places for teen to volunteer,” Heath says. Some of the teens were looking for community service credit to fulfill various class or graduation requirements, but other were simply looking for a way to give back to their community. Since its start in the spring of 2014, the program has had 450 “volunteer visits,” which includes teens who show up for one single event as well as teens who are volunteering their time at several events throughout the school year. Although program coordinators have reached out to school districts, youth organizations, college-readiness programs and faith-based youth groups in the area, Heath says it is often difficult to gather the number of teens the program would like to see. “There is such competition for youth these days,” Heath says, adding that the VolunTEEN program, because of its 3:30 to 5:30 p.m. weekday time slot, is also competing with after school activities, sports, jobs and family obligations. In fact, if you know a teen who would love to volunteer but might not be able to make it to a Thursday event at 3:30 p.m., Heath says the city of Vancouver offers several other volunteer opportunities on the weekends and at other times throughout the week. She points to the upcoming, Oct. 22 “Make a Difference Day” as one such event. To find out where and when the VolunTEEN program is meeting on any particular Thursday afternoon during the school year (with the exception of December and January, when few events are planned), look for #VancouverVolunTEEN on Twitter, “VanParksRec” on Facebook or @GoPlayVancouver on Instagram. You could also email CityVolunteer@cityofvancouver.us or call (360) 487-8344 for more information. The Vancouver VolunTEEN website has a downloadable version of the required release form, which teens must fill out and sign before attending their first event. RSVPs are encouraged at each event, but not required. To learn more about the VolunTEEN program, download a release form or see a list of upcoming events, click here. For more information about the all-ages volunteer opportunities happening in the Vancouver metro area, visit the city of Vancouver’s Volunteer Programs page and click on the “Volunteer Calendar” link.